I am often asked, "Who is Moriah Dru?" I do a lot of radio and the question is important, as important as describing the plot of the latest Moriah Dru/Richard Lake release. (This year "The Devil Laughed" was released September 1.) Since I've "lived" with Dru for years now (I'm on my sixth in the series), I know her pretty well. I have to admit Dru was inspired by Emma Peel of the old TV series, "The Avengers." Like Mrs. Peel, she'll have nothing to do with a damsel in distress life. 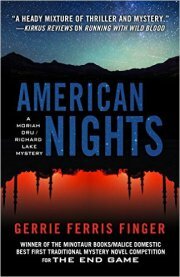 While she's as bold as that suave British spy, she's as American as Angela Gennaro -- Dennis Lehane's rugged yet compassionate heroine. Dru grew into who she is at the Atlanta Police Department where she excelled as an officer and consequently was awarded a spot at the FBI National Academy. When she and Richard Lake became lovers, she left the APD and started Child Trace. As a child finder she is hired by private citizens and the Juvenile Justice System. She’s intuitive in investigations and unafraid to pursue her investigative theories. She hones her shooting skills on a gun range and is proficient in martial arts. She isn’t the first to start a battle, but she’s capable of winning it. She has killed to save Lake's life. Dru is what every woman thinks she is deep within herself. Inside we’re all heros. Think of the air guitar craze. Everyone can play one; not everyone can play a real guitar. Unlike the reality of most air guitarists playing a mean Gibson, Dru can defend herself and those she protects in her character's reality. She’s no wonder woman. She has human vulnerabilities. She can assess herself with sarcastic barbs. She and Lake get into dark humorous conversations which reveal her vulnerabilities. 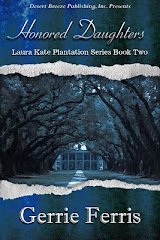 We see Lake, her lover and former partner at the Atlanta Police Department, through Dru’s point of view. He’s handsome to the point Moriah is always on the lookout for women’s attraction to him. Jealousy is but one of her vulnerabilities. 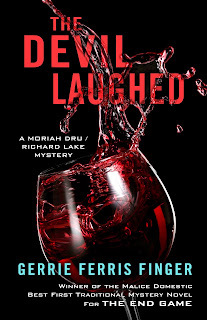 Out and ready to be read: The latest in the Moriah Dru/Richard Lake Series, THE DEVIL LAUGHED.